Soon Joey finds himself bombarded with changes, including a new name, a new home, and a new family business: running the beat-up Beehive Diner. He knows he should forgive his dad as his mom wants him to, and get with the new family program. But Joey is afraid that in changing names and going with the flow he will lose sight of who he really is. In this rocket-paced new chapter in Joey Pigza's life, a favorite hero discovers what identity and forgiveness really mean, and how to cook a delicious turkey burger. 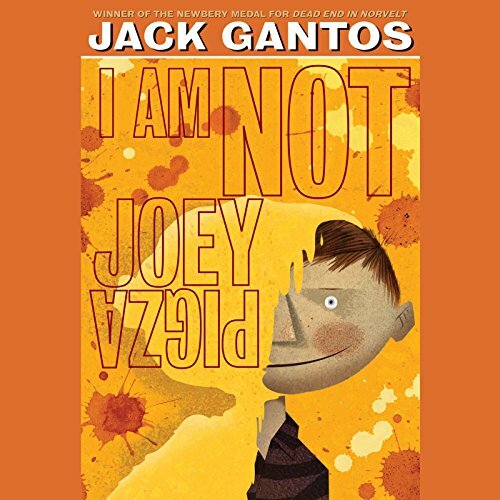 ©2007 Jack Gantos (P)2007 Random House, Inc. Listening Library, an imprint of the Random House Audio Publishing Group. Making you few comfortable in your own skin. My boys (10, 7, 4) all like listening to the Joey Pigza books during our school commute. I think it is because they can relate, especially the older two. The stories are funny and have excellent life lessons too. Very entertaining, even for adults.